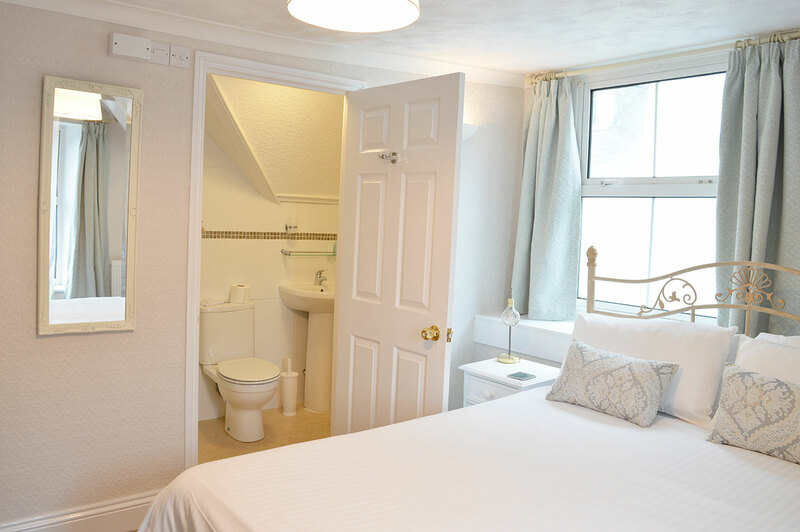 Bedroom Seven is a second floor, king sized en-suite bedroom with double aspect views across Watersmeet Road and down to Lynmouth village, harbour and sea. 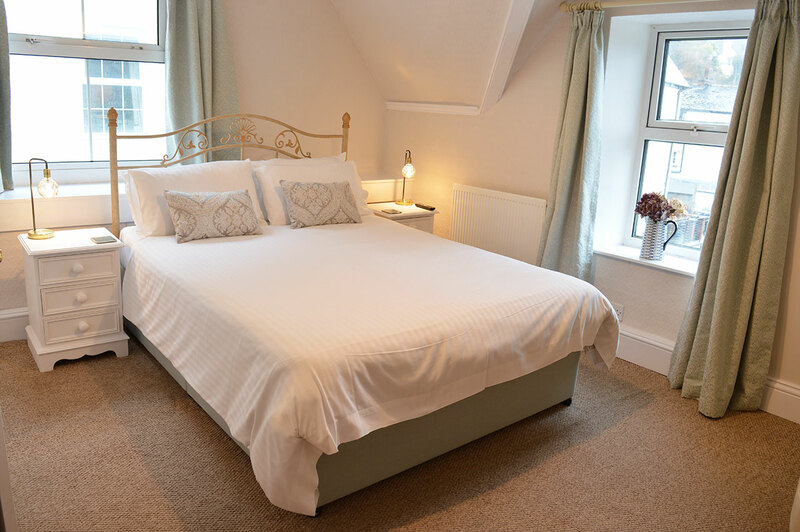 It has a traditional divan bedstead with soft linen, pillows and cushions, slimline wardrobe, luxurious blackout curtains and comfortable slipper chairs. Wake in the morning to the sounds of the seagulls and a lovely view of the sea. 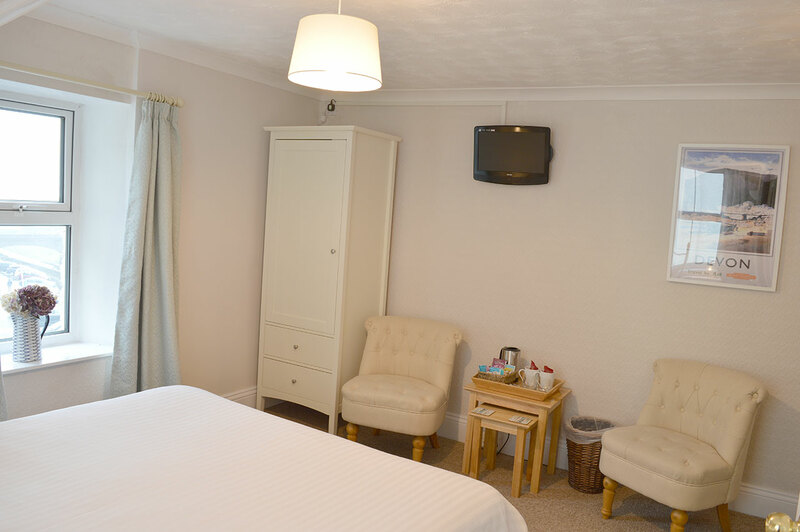 Bedroom Seven is newly decorated in warm and inviting pastel colours and offers a relaxing and peaceful stay.